The 2019 tax season is upon us. For those who have received settlements or jury awards in personal injury claims, tax season can be confusing. In this issue, the Alaska personal injury lawyers with Barber & Associates will explain how personal injury awards and settlements are treated by the U.S. tax code. Remember, if you’ve been injured because of someone else’s negligence, you need the skillset and experience of an Alaskan personal injury lawyer who will aggressively fight on your behalf to secure the compensation to which you’re entitled. Here at Barber & Associates, we’ll examine your case from every angle, and develop a winning strategy to get you the funds you deserve. For a free consultation, call Barber & Associates at 907-276-5858 or send an email. Are personal injury settlements and awards taxable? Prior to 1996, virtually all settlements and jury decisions in personal injury cases were non-taxable. However, there are criteria that must be met in order for your settlement or jury award to be tax-free. 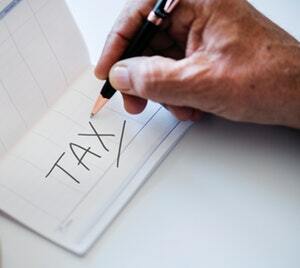 Funds that are non-taxable are those to cover physical injuries that result in compensation from lost wages, medical bills, loss of consortium, lawyer fees, and emotional distress. Funds that are taxable are those that are based upon emotional distress only but no physical injury. If you’ve been injured because of someone else’s negligence, call the personal injury lawyers at Barber & Associates. When you’ve been injured by someone else, it’s important to have a personal injury lawyer in your corner. Lost wages and medical bills can put you in a bind in a hurry. By letting us fight on your behalf, we’ll concentrate on getting the money you deserve while you concentrate on recovering. We’ll aggressively fight to secure justice and compensation to cover medical bills, lost wages, and other financial responsibilities.